Combining gracious Italian styling with clean Scandinavian design influence and minimal detailing, the Coletta Sandstone and Coletta Concrete models utilize 5th generation AquateX™ and Ecomalta®, an innovative, environment-friendly and extremely durable cementitious resin with 40% recycled content, which allows for infinite variation of color and texture customizations. The Coletta™ Ecomalta® surface is hygienic, easy to clean, repairable and resistant to fire, stains and heat – as well as absolutely gorgeous, combining the best characteristics of solid surface and beauty of natural stone. 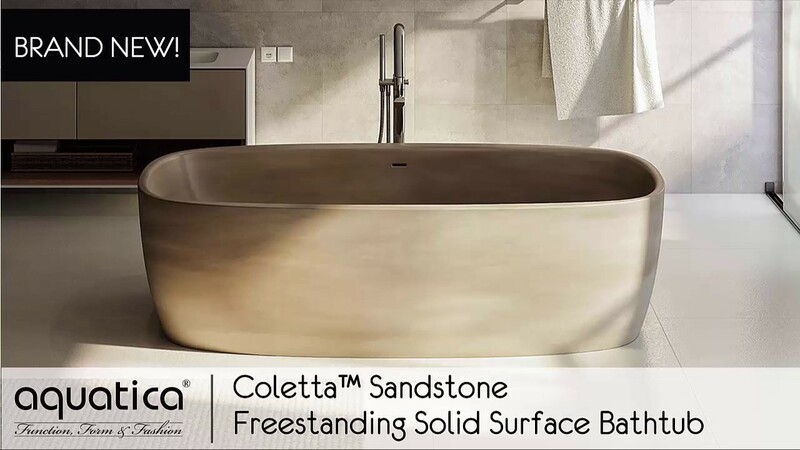 Coletta freestanding stone bathtub was designed with easy access as the principle advantage. 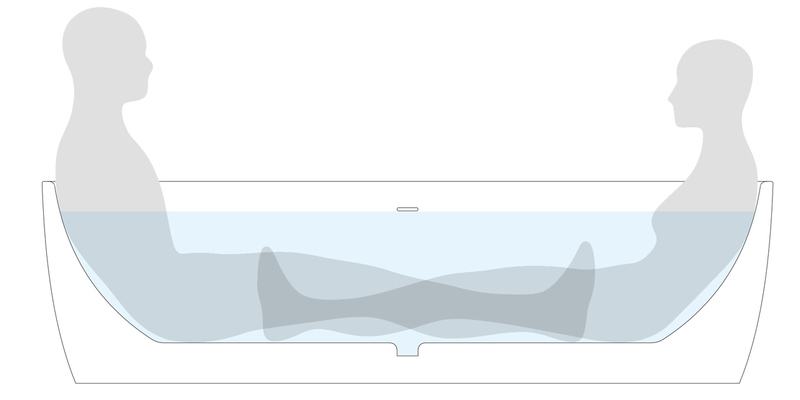 The low profile walls of only 19.75” in height make it easier for older and physically challenged bathers such as those suffering from arthritis, to get in and out of the bathtub easily. 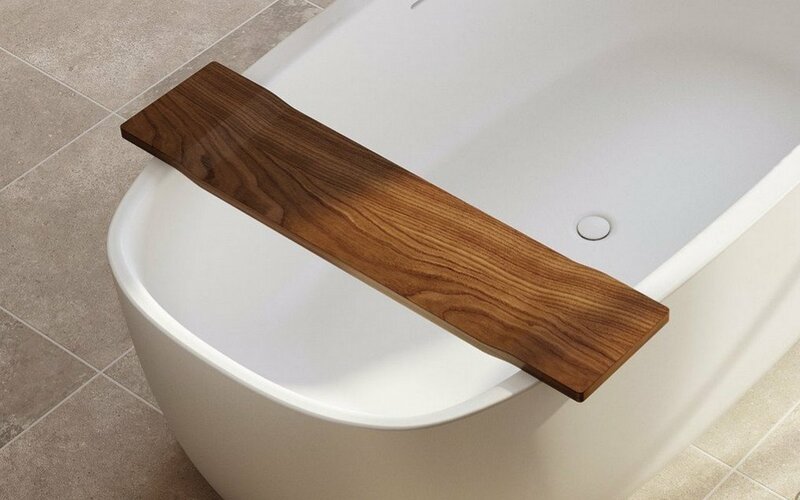 Combining the low height feature and our firm yet smooth Aquatex material, the Coletta is a unique low step-in bathtub which puts it far ahead of the flimsy and obsolete looking competitor models found on the market. The low lying, semi-reclined bathing position allowing relaxing full body immersion is the most distinctive feature of Coletta. In line with other Aquatica premium freestanding bathtubs, Coletta features our signature sculpted-in neck and head support. 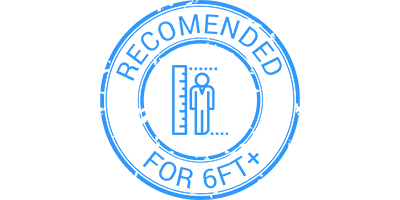 The discretely integrated and concealed overflow channel further adds to its unmatched styling and charm. The beauty of this bath is that it utilizes AquateX™ Sandstone – a superb material made from fifth generation of AquateX™ and natural sandstone. These two elements bring together the best characteristics of a very durable solid surface and the incredible beauty and natural warm hues of natural sandstone. A perfect complement to the style and charm of this unique and special bathtub. 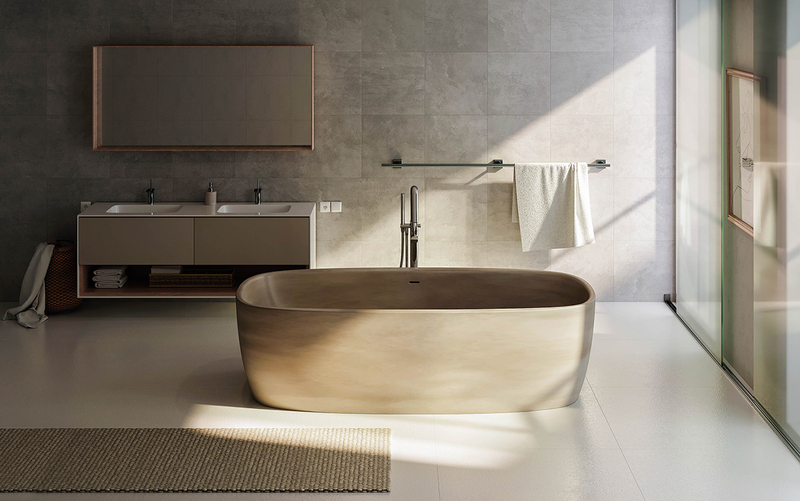 The Coletta freestanding bathtub is a wonderful paradox of contrasts. 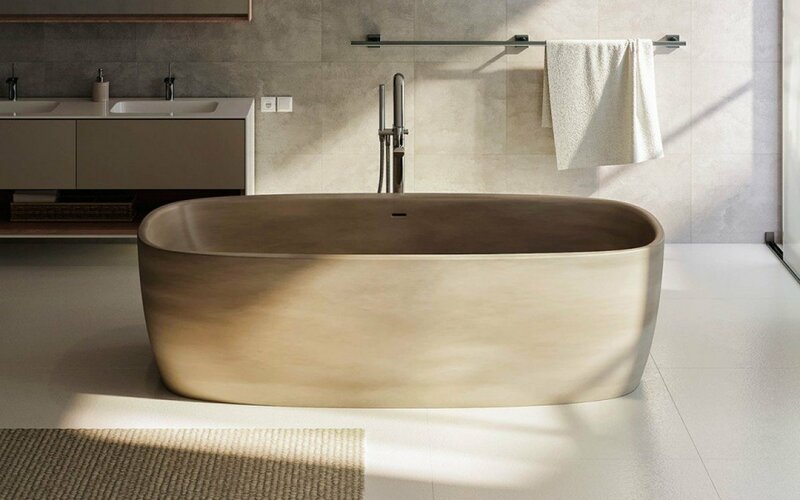 Large scale capacity combines with elegance thanks to the carefully designed, fluid transition of the bath rim from very narrow to usefully wide. Its charm is further enhanced by the slightly tapered, narrower bath base, which looks delicate yet is very much in harmony with the rest of the design.